Open Access & Publication frequency: Open Access; quarterly publishing. Peer-Review & APC: double blind; no article processing charge. Vestnik RUDN. 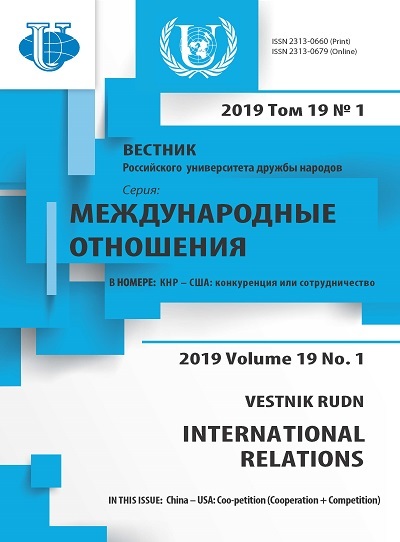 International Relations is a leading Russian bilingual (English /Russian) IR journal, published by RUDN University since 2001. What we focus most on are pressing global issues and the history of international relations, foreign policy and diplomacy, regional security in Asia, Africa and Latin America, the "North-South" relationship and cooperation within BRICS, SCO and CIS, as well as international academic cooperation. Thematic scope of the Vestnik RUDN. 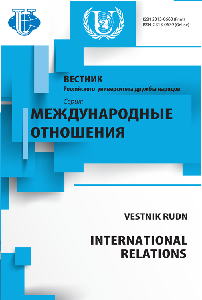 International Relations is reflected in the following section titles: "International Economic Cooperation", "Applied Analysis", "Bilateral Cooperation", "Scientific schools", "History of International Relations", "Profiles", "International Academic Cooperation". Our authors are known Russian scholars of international affairs who represent leading metropolitan and regional universities, as well as institutes of Russian Academy of Sciences, and also experts from foreign countries, including those from the top European, US and Asian universities. Many researchers of RUDN-University have come from the CIS countries, Asia, Africa and Latin America, explore foreign policy issues of their states and add their local/nation-specific perspective in addressing current global issues. Vinogradov A.O., Salitsky A.I., Semenova N.K. Cheng G., Chen L., Degterev D.A., Zhao J.
Japanese Universities’ Community in International Environment: Maneuvers or Heading Down? Martynenko S.E., Trusova A.A., Cherniaev M.S.